The present study deals with the assessment of hair growth potential of three plants, Semecarpus anacardium, Trigonella foenumgraecum and Trigonella corniculata. Petroleum ether and ethanolic extracts of all the plants were prepared. Aloe vera gel (prepared with fresh Aloe vera leaves) based herbal formulations were prepared with both types of extracts of each plant. The formulations were subjected to characterization of pH, texture, odour and toxicity studies. Hair growth activity of the formulations was studied in comparison of 2% minoxidil solution (standard) in albino rats for 30 days. It was concluded that T. foenumgraecum showed the best hair growth activity. Formulation containing T. foenumgraecum petroleum ether extract showed the minimum time to initiate (5 days) as well as to complete the hair growth (18 days) at denuded surfaces. Formulation with T. foenumgraecum ethanolic extract showed the best hair lengthening properties as compared to others. The study concluded that even the short-term treatment with these herbal formulations is effective in significant hair growth promotion. M. Semalty, A. Semalty, Geeta P. Joshi and M.S.M. Rawat, 2010. In vivo Hair Growth Activity of Herbal Formulations. International Journal of Pharmacology, 6: 53-57. Hair has sociological importance throughout the ages. Alopecia (baldness), a dermatological disorder is a common problem in cosmetics as well as primary health practice. It is common throughout the world and has been estimated to affect between 0.2 and 2% of the world population (Bertolino, 2000; Olsen, 1993; Madani and Shapiro, 2000). The clinical severity of a patient of alopecia may not be a good indicator of subsequent downturn in quality of life or psychological well-being. Drugs which claim to treat hair loss target a steadily growing, multi-billion dollar market worldwide. According to Bandaranayake and Mirmirani (2004) pharmaceutical hair loss management still occurs within a clinical theatre of Dickensian proportions: great expectations- contrasted by plenty of disappointed hopes (Paus, 2006). Much of that disappointment appears to result from unrealistic expectations, ill-targeted (and therefore inefficient) drug therapy and insufficient industrial interest in dissecting the basic mechanisms by which hair loss occurs and by which human hair growth-promoters exert their effects. Over the past several years about 300,000 products claimed to help hair regrowth. But except minoxidil and finasteride, none of them was found to be effective in hair growth promotion. Minoxidil, a synthetic (cardiovascular) drug was scientifically proved to help the treatment of alopecia. The hair growth activity of minoxidil is actually the side effect of this cardiovascular drug (Parker et al., 1982; Uno et al., 1987). Currently, minoxidil (useful in both male and female pattern baldness) and finasteride (useful in male pattern baldness) are two US FDA approved synthetic drugs finding concomitant use for treatment of androgenic alopecia, but their side effects have reduced their usage (Paus, 2006; Libecco and Bergfeld, 2004). Therefore, it becomes vital to search for the more precise therapies with the newer synthetic drugs or the drugs of plant origin. Herbal drugs have been widely used for hair growth promotion since ancient times in Ayurveda and Unani system of medicine. In Ayurveda, Indrayan (Citrullus colocynthis), Bhringraj (Eclipta alba), Brahmi/mandukparni (Bacopa monnieri) and Nagarmotha (Cyperus rotundus) have been reported to be effective in the treatment of Indralupta that is baldness. Natural products are very popular and well accepted in the cosmetic and hair care industries and about 1000 plant extracts have been examined for hair care usage (Takahashi et al., 1998; Roy et al., 2006, 2007; Semalty et al., 2008 , 2009). The present research deals with the assessment of hair growth potential of Semecarpus anacardium, Trigonella foenumgraecum and Trigonella corniculata of Garhwal Himalayan origin. These plants are used traditionally as folk medicines in hair care in the Himalayan region. Collection and identification of plant: The fruits of Semecarpus anacardium were collected from the forest of Rajaji National Park Haridwar (India) in the month of October (2008). The seeds of Trigonella foenumgraecum and Trigonella corniculata were purchased from local farmers and identified by comparing with standard herbarium specimens available in Department of Botany (ethanobotnical science) Hemwati Nandan Bahuguna Garhwal University, Srinagar and was authenticated by Prof. R.D. Gaur (taxonomist). The whole study was conducted from July 2008 to July 2009 in the Department of Pharmaceutical Sciences and Department of Chemistry of HNB Garhwal University Srinagar (Garhwal), India. Preparation of herbal extracts: The seeds were dried under shade and made to a coarse powder. Two hundred gram seed powder was extracted in the soxhlet extraction apparatus with 700 mL of petroleum benzene (60-80°C). The solvents were evaporated under reduced pressure in a rotary vacuum evaporator (Perfit Model No. 5600 Buchi type) and dried in vacuum. The dried extract was used in preparations of hair growth formulations. In the ethanol extraction, the same amount of coarse seed powder was extracted with 700 mL of ethanol in a soxhlet apparatus until extraction solvents become colorless. The nuts of Semecarpus were dried in shade for 20 days before extraction. The same method as mentioned above was adopted for extraction of the nuts. Preparation of formulations: Aloe vera gel was prepared as a base for all the preparation. Fresh aloe Vera leaves were collected from forest of Srinagar Garhwal, washed from distilled water and soaked for 15 min in a water bath containing a suitable bactericide. The leaves were then rinsed, the tips and bases were cut off. The Aloe vera gel was extracted from the leaves by a filet method (Maughan et al., 2003). In this method, the anthraquinone containing yellow sap from the pericyclic cells was drained from the freshly cut leaves. The gel from these leaves was collected out by means of longitudinal incision on the dorsal side of leaves and any foreign particles were removed from the gel manually. To improve the stability of the gel, it was heated to 40° and then a blend of stabilizing agent consisting of ascorbic acid (0.5% w/w) and sodium benzoate (0.5% w/w) was added and mixed uniformly. The gel was then cooled to room temperature and stored in cool dark place until use. The hair formulations, each containing 10% of petroleum ether and ethanolic extracts of the plants (Semecarpus anacardium, Trigonella foenumgraecum and Trigonella corniculata) were separately formulated in prepared Aloe vera gel (Table 1). Physical evaluation: The prepared formulations were evaluated for surface pH, texture, odour and skin irritation properties. The pH of all the formulations were determined by pH meter. Texture determination was done by naked eyes so that various formulation can be distinguished. Odour of the formulations was also observed. For primary skin irritation test, the healthy male rats were divided into six groups of six rats each. A 4 cm2 area of dorsal portion of all the rats were shaved and wiped with surgical spirit. A constant measured quantity of the formulations was applied over the respective test sites of one side of the spine. The test sites were observed any toxic side effects, erythema and edema on skin surface for 48 h after application. 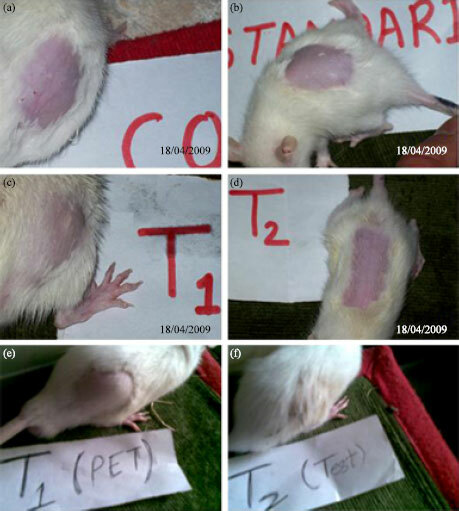 In vivo hair growth activity (in rats): Male Wistar albino rats, weighing 190-210 g were used for hair growth studies. The study was approved by Institutional Animal Ethical Committee, HNB Garhwal University, Srinagar (Garhwal). Animals were placed in cages and kept in standard environmental conditions, fed with standard diet ad libitum and allowed free access to drinking water. The prepared formulations were assessed for hair growth studies. In this the screening of hair growth potential was evaluated in wistar albino rats. The healthy male rats were divided into eight groups of six rats each. The hairs of the dorsal portion (4 cm2 area) of the rats clipped with scissor and the traces of hairs were removed by the application of marketed hair removal cream (Anne French, India). Finally denuded skin was wiped off with surgical spirit. Equal quantity of prepared formulations and 2% standard minoxidil solution (Mintop, Dr. Reddys Lab. India) were applied to the denuded area of albino rats once a day for 30 days. Control group received Aloe vera gel only. During the course, the hair growth pattern was observed qualitatively and recorded. Qualitative studies on hair growth: Qualitative hair growth analysis was undertaken by visual observation of two parameters: hair growth initiation time (i.e., minimum time to initiate hair growth on denuded skin region) and hair growth completion time (i.e., minimum time taken to complete cover the denuded skin region with new hair) (Roy et al., 2007). Therefore, the hair growth initiation and hair growth completion time were recorded for each group of animals with respect to standard and control, during the treatment. Hair length studies: Hair length was considered to be an important factor of growth. Hair was plucked randomly from the shaved area of selected rats after 15 and 30 days. Manual measurement of plucked hair was carried out with tweezers holding the fine hair against a ruler, with the aid of magnification lens. Random samples of 100 strands of (from each group) hair were measured and the average length (mm) was computed. The pH of all the prepared formulation ranged from 6.3 to 6.8. The formulations showed characteristic odour and different textures (Table 2). Primary skin irritation test was carried out to evaluate the skin irritation by the prepared formulations on intact skin of rats. All of the prepared formulations did not show any erythema and/or edema; this indicates that the prepared formulations were nonirritant and nontoxic on skin of rats. Thus, the prepared extracts were considered safe for topical administration. These formulations were applied to the denuded area of albino rats once a day for 30 days. During the course the hair growth pattern was observed qualitatively and recorded (Fig. 1). Hair growth initiation time and completion time was considerably reduced as compared to other test animals upon treatment with formulation T1 and T12 (prepared with petroleum ether and ethanolic extract of Trigonella species, respectively) (Fig. 2a-f). T1 showed the least initiation time (5 days) and least completion time (18 days), followed by T12 (6 and 18 days for initiation and completion, respectively). In control group animals, hair growth was initiated in the denuded area in the second week (10 days), whereas it was noted in the first week for T1 and T2 and minoxidil-treated groups (8 days). All the formulations of Trigonella showed significant reduction in hair growth initiation time (5 to 6 days) and therefore exhibited better hair growth activity even over the standard (minoxidil). Similarly Semecarpus showed hair growth initiation time of 8 days (SA1) and 9 days (SA2) with relatively long completion time of 21 days (SA1) and 24 days (SA2). It was also observed that Group SA1 and SA2 also showed the same hair growth initiation activity as that of standard. But it was found that at the end of second week hairs were easily being pulled out with the patch of skin intact. It showed that Semecarpus has the dominant irritant properties also. Hair length was also measured at the end of 15 and 30 days in all the groups (Table 3). The hair lengthening properties was found to be in the order of T12>SA1>T21> T2>SA2>T1>STD>Control. Therefore it can be concluded that formulation T12 (with Trigonella foenumgraecum ethanolic extract) showed the best hair lengthening properties as compared to others. Herbal formulations of Trigonella and Semecarpus were prepared on Aloe vera base. All the formulations significantly reduced the hair growth initiation time in comparison of the control and the standard. However, there was no significant difference in the performance of formulations prepared from petroleum ether and ethanolic extracts. Herbal drugs generally exert their hair growth promotion effects by improving blood flow to scalp either by slight skin irritation or by angiogenesis (improving vasculature through endogenous substances) (Semalty et al., 2008, 2009). Trigonella and Semecarpus might have shown the hair growth promotion by improving blood flow to scalp. But Semecarpus, owing to its strong characteristic irritation effects (Semalty et al., 2009), showed the peeling effect of skin in the form of small patches along with the hairs. This suggests that the blood flow improvement by irritation effect must be optimum to exert a therapeutically effective hair growth activity. Trigonella might have shown the best effect due to optimum skin irritation, leading to improvement in blood flow to scalp. The antioxidant effect of Trigonella might have contributory effect in hair growth. Formulations of Trigonella also showed the best hair lengthening properties in comparison of all other formulations. This may be due to the premature switching of follicles from the telogen (declining) to anagen (growth) phase of hair growth cycle (Philpot et al., 1992). The activity of Aloe vera might also have the contributory effect. The proteolytic enzymes Aloe vera slough off dead skin cells and open pores. It increases membrane fluidity and permeability and the outward flow of toxins and inward flow of nutrients (Reynolds and Dweck, 1999; Moon et al., 1999). Moreover, Aloe vera also re-established vascularity (angiogenesis) of tissues (Heggars et al., 1993). From the results of hair growth activity experiment in rat model, it can be strongly suggested that the Trigonella has potential components to stimulate the hair growth. It was concluded that Trigonella foenumgraecum showed the best hair growth activity with no skin irritation. It showed minimum time to initiate as well as to complete the hair growth at denuded surfaces. As compared to others, It was also found to improve the hair length also. The overall result of preliminary study shows that the short-term treatment with this herbal hair growth formulation is effective in significantly reducing hair loss and may stimulate new hair growth in a portion of the subjects. Authors are thankful to Prof. J. P. Bhatt, Head, Department of Zoology, H.N.B. Garhwal University Srinagar Garhwal for providing the facilities for in vivo studies. Bandaranayake, I. and P. Mirmirani, 2004. Hair loss remedies separating fact from fiction. Cutis, 73: 107-114. Bertolino, A.P., 2000. Alopecia areata: A clinical overview. Postgrad. Med., 107: 81-90. Heggars, J.P., R.P. Pelley and M.C. Robson, 1993. Beneficial effects of aloe in wound healing. Phytother. Res., 7: S48-S52. Libecco, J.F. and W.F. Bergfeld, 2004. Finasteride in the treatment of alopecia. Expert Opin. Pharmacother., 5: 933-940. Madani, S. and J. Shapiro, 2000. Alopecia areata update. J. Am. Acad. Dermatol., 42: 549-566. Maughan, R.G., R.A. Poore and B.V. Phan, 2003. Product and process for stabilizing Aloe vera gel. US Patent 0211182A1. http://www.uspto.gov. Moon, E.J., Y.M. Lee, O.H. Lee, M.J. Lee and S.K. Lee et al., 1999. A novel angiogenic factor derived from Aloe vera gel: Beta-sitosterol, a plant sterol. Angiogenesis, 3: 117-123. Olsen, E.A., 1993. Androgenetic Alopecia. In: Disorders of Hair Growth Diagnosis and Treatment, Olsen, E.A. (Ed.). McGraw-Hill, New York, pp: 257-87. Parker, L.N., E.T. Lifrak and W.D. Odell, 1982. Lack of a gonadal or adrenal androgenic mechanism for the hypertrichosis produced by diazoxide, phenytoin and minoxidil. Biochem. Pharmacol., 31: 1948-1950. Paus, R., 2006. Therapeutic strategies for treating hair loss. Drug Discovery Today: Therapeutic Strategies, 3: 101-110. Philpot, M.P., M.R. Green and T. Kealey, 1992. Rat hair follicle growth in vitro. Br. J. Dermatol., 127: 600-607. Roy, R.K., M. Thakur and V.K. Dixit, 2006. Effect of Cuscuta reflexa Roxb on hair growth in albino rats. Indian Drugs, 43: 951-956. Roy, R.K., M. Thakur and V.K. Dixit, 2007. Development and evaluation of polyherbal formulation for hair growth-promoting activity. J. Cosmetic Dermatol., 6: 108-112. Semalty, M., A. Semalty, A. Badola, G.P. Joshi and M.S.M. Rawat, 2009. Semecarpus anacardium Linn. A review. Pharmacog. Rev., 3: 1-14. Semalty, M., A. Semalty, G.P. Joshi and M.S.M. Rawat, 2008. Herbal hair growth promotion strategies for alopecia. Indian Drugs, 45: 689-700. Takahashi, T., T. Kamiya and Y. Yokoo, 1998. Proanthocyanidins from grape seeds promote proliferation of mouse hair follicle cells in vitro and convert hair cycle in vivo. Acta Dermato Venereologica, 78: 428-432. Uno, H., A. Cappas and P. Brigham, 1987. Action of topical minoxidil in he bald stumptailed macaque. J. Am. Acad. 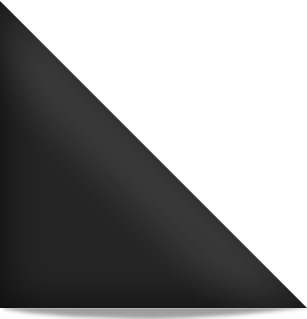 Dermatol., 16: 657-668.